To keep your devices powered up needs to charge them as soon as the battery goes down to the minimal level and for that purpose, one has to plug the phone with the adapter to get the fastest charging but with the passage of time, technology brings new ways to charge smart devices. So a new way to charge is the use of wireless chargers which does not need to insert the charging pin to the device rather by just putting smartphones on the charging pad, which has electric signals that transfer electrons to the device to let it charge. Wireless charging also needs to put the device on a specific location to get them charged efficiently so one cannot move with the phone while it is on charge. So to handle this issue, there is another advanced technology to charge smartphones is Air charging, also known as long-range wireless charging. With Air charging, the charger has a range to transfer the electric signals so the smartphone must be in the range of these signals to get charged. More the smartphone away from the charger the less efficiently it will charge the phone. Now you have a life free from limitation such as charging is not required to finding power outlets and changing the batteries as they get less-efficient with the passage of time due to overcharged or due to many other reasons. These chargers allow the person to move freely in a room with the phone while it is on charge and when one phone is on charge it is not the case that no other device can be charged whereas as many devices will be in the range it will transfer the power to all of them. Why wi-charge is better than any other charger? 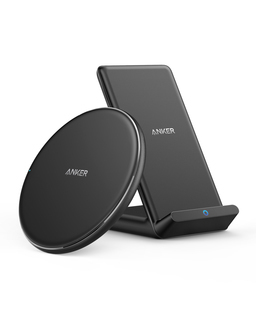 As the buy integrated wireless charger need the pad to plug with the cable to supply the electricity to it plus it limits the mobility whereas wi-charger does not require the phone at a certain location to charge. Limiting mobility of the devices will limit their functionality or one may have to carry the power bank with cables to charge as the battery running low or other charging adapters whereas if the wi-chargers are used at the workplace, there would be no need of carrying the chargers with you. Wi-charging works with an invisible beam which is the path to transfer the power to the devices whereas wireless charger needs connection with the charging pad. Moreover, at one point in time, many devices can be charged which are in the orbit of the infrared lights whereas with wireless charging only one device can be charged at a time.